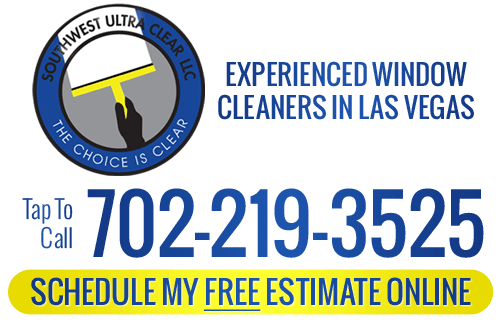 Southwest Ultra Clear is a professional window cleaning service located in Las Vegas. We offer a full range of interior and exterior cleaning services for both residential and commercial properties. Our Las Vegas window cleaners have the combined training and equipment to cover any window cleaning job no matter how high your office building is. We’ve been in business for two decades and know what it takes to safely and thoroughly navigate any structure to insure your exterior is spot free. 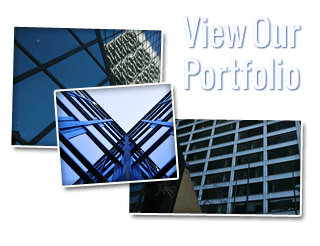 When it comes to cleaning highrise office windows, you only want the most experienced company with an exceptional safety record for the job. With over 20 years experience in office exterior washing, Southwest Ultra Clear knows what it takes to perform every cleaning job safely and efficiently without sacrificing quality cleaning. We use only industry leading equipment, exceed all safety requirements and employ only highly trained and skilled staff who can perform every job in a manner that is professional and gets the job done right the first time. We offer a number of interior and exterior services designed to make your business shine! In addition to our full service window cleaning, we can take care of some of your most difficult and time consuming cleaning jobs. Does your property contain large mirrors, screens or hard to reach skylights? No problem for our professional window cleaners. We also polish chandeliers and ceiling fans giving them a sparkling finish. Solar panels are delicate features on most buildings and require specialized treatment. We can restore your solar panels back to their new appearance with care and precision. Southwest Ultra Clear also offers detailed gutter cleaning and bird barrier system installation. We offer the same quality cleaning service for home owners that we do for commercial property. Your home is your greatest investment. It is important to have it looking good at all times. Our Las Vegas window cleaners professionally clean your windows inside and out. Need your siding or brick pressure washed? We clean your home’s exterior using both standard and soft washing techniques to insure that your surface is cleaning without any damage. We use state of the art equipment that is adaptable to any home exterior. Count on Southwest Ultra Clear for comprehensive construction clean up service that meets all of your post construction needs. From debris removal to fine detailing, Southwest Ultra Clear can help you maintain a clean, clutter free work space during and after construction. We work closely with you and your general contractor without ever interrupting your tenants, clients or visitors. Having a certified crew with the expertise in construction cleanup and with professional equipment is vital to helping your company meet project deadlines. You want a company that can get the job done quickly while removing all traces of previous construction. This saves you time and money. If you are looking for professional window cleaners in Las Vegas, then contact Southwest Ultra Clear. Call us at 702-219-3525 or complete our online request form.